Planting the path for pollinators! BEE IN THE KNOW - Sign up here! An initiative of the Oklahoma Monarch & Pollinator Collaborative, a statewide group of 40+ organizations and citizens working together to ensure thriving Monarch migrations for generations to come. 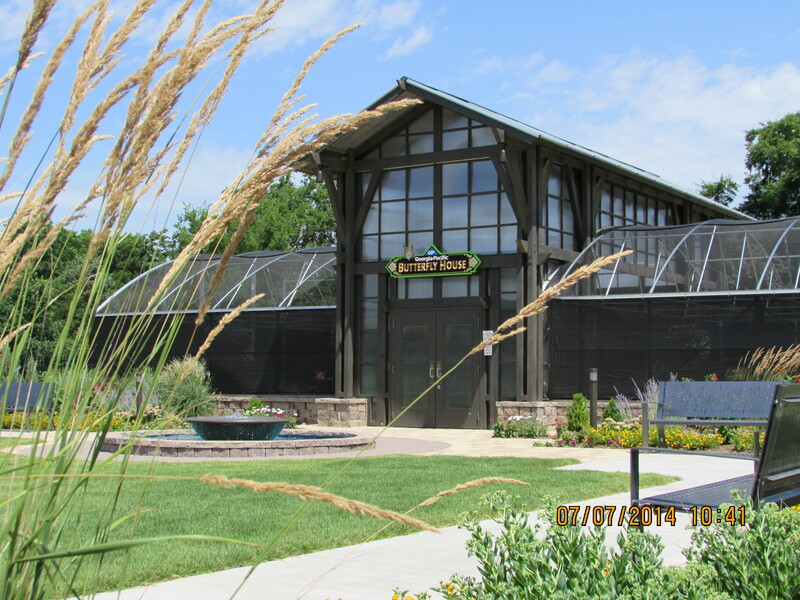 The Papilion is a seasonal open-air butterfly house located in Honor Heights Park in Muskogee, OK. The only butterfly house in Oklahoma, The Papilion is home to ~300 native butterflies from mid-May through the end of September. Pollinator and display gardens, some of which change annually, surround the house and attract many species of native butterflies and other pollinators. A small admission fee helps offset butterfly and maintenance costs. Open daily beginning the Saturday before Mother’s Day through September 30. Hours: Monday – Saturday 9am-4pm and Sunday 1-4pm. Limited hours on holidays: 9am-2pm. The Papilion also hosts a tulip garden display in early spring. Donate to Save the Monarchs! WHERE ARE THE MONARCHS NOW? Okies for Monarchs is an initiative of the Oklahoma Monarch & Pollinator Collaborative.